Prof Steve Banwart is an international leader in the study of reactive processes in soil and groundwater. He champions integrating research into Earth’s Critical Zone, the surface layer of the planet from bedrock to atmospheric boundary layer that provides humans with most of their life-sustaining resources. He is the academic lead for Theme 2 Resilient Food Supply Chains, and also for International Engagement, of the Northern 8 Universities Consortium (N8) AgriFood Research Programme. The N8 programme is a £16M, 5-year initiative to link the research strengths of 8 leading UK research universities to provide solutions to the global challenge of food security. Prof Banwart has secured over £29M in research grants since 1995, with over £12M attributable as Principal Investigator. He chaired the SCOPE international Rapid Assessment Process project on Benefits of Soil Carbon, was principal investigator of the European Commission FP7 Large Integrating Project Soil Transformations in European Catchments (SoilTrEC) and was PI of the UK Natural Environment Research Council (NERC) Large Grant on Biological Weathering from Molecular- to Ecosystem- scale. 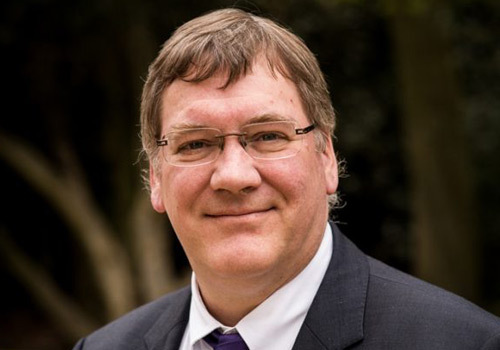 He chairs the NERC Joint Capital Advisory Group, is a member of the NERC Strategic Programmes Advisory Group and is a NERC panel chair for evaluation of funding proposals.